A six-day music festival is organised by Chromepet Cultural Academy from Dec. 29, 2018 to Jan. 3, 2019. Concerts are open to rasikas. Not ticketed. Velachery based Nada Sudha holds its annual Music Festival from Dec. 22, 2018 to Jan. 13, 2019. The concerts at 6.30 p.m. are ticketed, Contact the sabha for donor passes for the season. The evening concerts are ticketed and tickets are available at the venue. The annual music festival of Chennai Fine Arts will be held from Dec. 21 to 30, 2018. The concerts are open to rasikas. Not ticketed. The lec-dem sessions at Sri Parthasarathy Swami Sabha are centred around interesting themes and by eminent artistes and scholar. Rasikas, music students and musicians attend these sessions. Vidya Bharathi Kalyana Mandapam, Bheemasena Garden Street, Mylapore. The same venue where the sabha's concerts during the season are held. 8.30 a.m. - Instrumental Influence on Vocal Music and vice versa By Nirmala Rajasekar (Moderator), Gayathri Venkataraghavan, Kunnakudi M. Balamuralikrishna & T.K.R. Iyyappan ( Nadaswaram). Established in 1931, Perambur Sangeetha Sabha (PSS) is one of the three oldest Carnatic Music Sabhas in Chennai, even prior to Music Academy. Almost all great musicians of the past and present have performed at our Sabha. PSS is perhaps the only major Sabha in North Chennai promoting the cause of Carnatic music. PSS is a structured entity with an Executive Committee to steer the Sabha's affairs. Dr.Parameswaran, a leading physician, is the President. N Krishnan is the Hony Secretary. The sabha has been hosting a series of concerts in April (Chitrai Thiruvizha) in addition to regular monthly concerts. This year, for the first time in its chequered history, PSS is hosting a series of concerts in the December 2018 Music Season. Venue: Sankaralyam (Near Sri Ayyappan Temple), Meenakshi Street, Perambur, Chennai 600 011. Concerts are open to all rasikas and not ticketed. Venue: Sri Sankara Vidyashramam Matriculation Higher Secondary School Auditorium, 3rd Main Road, Thiruvanmiyur, Chennai – 600041. Open to rasikas. Not ticketed. The evening concerts are ticketed. Donor passes are available at the venue daily between 3 p.m. and 7 p.m.
9.00 a.m. - "Sri Sathguru Theagaraja Arathanai "
The Margazhi Music Festival of Sampoornam Foundation for Music and Arts will be held from Dec. 12 to 15, 2018. Venue: Arkay Convention Center R.H.Road,Mylapore. Concerts are open to rasikas and not ticketed. The 39th Isai Iyal Nataka Vizha of Sri Thyaga Brahma Gana Sabha will be conducted from Dec. 9, 2018 to Jan. 15, 2019. Rasikas welcome for morning and afternoon concerts that will be held in the mini hall at the venue. The concerts at 6.30 p.m. are ticketed. 6.05 p.m. - Inaguration by Pujyasri Swami Omkarananda. 6.30 p.m. - UNITED VISUALS Present DramaT.V.Varadharajan in "Plastic Kadavul"
6.30 p.m. - Srekala Bharath & Thejas Presents "Annamayya Bhakti Manjari, Nava Vidha Bhakti Based on Sankirtanas of Annamayya"
The annual lecture demonstration series at the Rasika Ranjani Sabha, Mylapore will begin on Dec. 9 and go on till Dec. 16, 2018. Venue: Rasika Ranjani Sabha, Sundareswarar Street, Near Lady Sivaswamy School, Mylapore. The lectures are open to rasikas and not ticketed. The 67th year Art Festival of The Mylapore Fine Arts Club will be held from Dec. 9, 2018 to Jan. 17, 2019. The evening concerts at 4 p.m. and 6.30 p.m. are ticketed. The morning concerts are open to rasikas. 5.00 p.m. - Inauguration and conferment of titles. Sruti & The Music Forum bring curate a few days of lectures and demonstrations just before the music season gets busier. This year the 'Lec-dem Mela' as it is called will be on Dec. 8 and 9, 2018. The theme for this year's sessions is Sthalams & Treatises. Venue: Arkay Convention Centre, R.H. Road, Mylapore. The sessions are open to all. The focus of this year's Music Education Trust festival in Chennai is Únique contribution of Muthuswamy Dikshitar in exploration of a single raga'. The 10-day music festival organised by the trust is dedicated to musician and musicologist T.R. Subramanyam. The festival is on from Dec. 7 to 16, 2018. Venue: Srinivasa Sastri Hall, Luz, Mylapore. 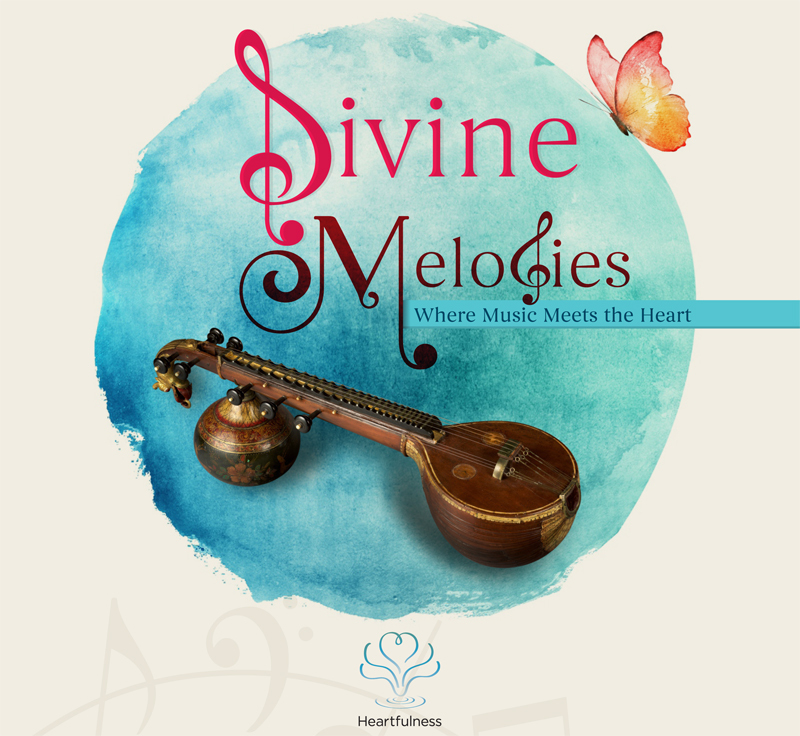 Heartfulness Institute Chennai is hosting a three-day music festival titled Divine Melodies – Where Music Meets the Heart', from December 7 to 9, 2018. The concerts will be held at its sprawling 18 acres gree campus in Manappakkam. "When Music, Meditation and the Soul reverberate together, you get a Divine Musical Experience, which will remain etched in your memories and hearts for a very long time. From this the idea came about - What if we combine these two great unifying force - music and meditation?" the organisers say. Each day of the music festival will have a meditation session followed by music performances. On Dec. 7, 2018, Shashank will perform a flute recital at 6 p.m. followed by a vocal concert of Mambalam Sisters. On Dec. 8, 2018, at 6 p.m. the violin recital by R. Kumaresh is scheduled, followed by Deepika & Nandika’s vocal concert. Jayanthi Kumaresh will present a veena concert on Dec. 9, 2018, at 6 p.m. followed by M.O. Parthasarathy's Hindustani vocal concert. The concerts are open to all. If you learn or know to appreciate Carnatic music, here is an opportunity to listen to concerts and lec-dems and write about them. A leading sabha in Chennai publishes its in-house newsletter during the December music season. The newsletter is published twice a week and features the concerts, artistes and lec-dems held at the sabha. Students of music with good writing skills are invited to be part of the newsletter. 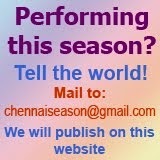 If interested, mail to chennaiseason@gmail.com with details about your learning music and interest in writing. The December Music Season at Charsur Arts Foundation features Sanskrit compositions. The music festival will be held from Dec. 18 to 27, 2018. Venue: Narada Gana Sabha Mini Hall, TTK Road, Alwarpet. The concerts are open to rasikas and not ticketed. Seating is on first come basis. 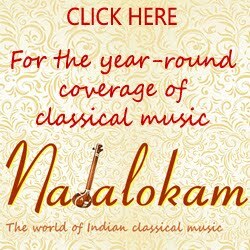 SAMBHASHANAM - A Music Forum. 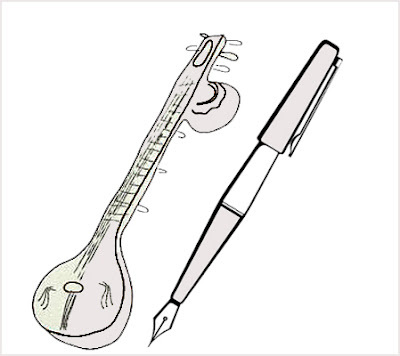 6 p.m. to 8 p.m. - Lec-Dem by R.K. Shriramkumar: An insight into Raga as visualised in the paramparas of Sri Tyagaraja and Sri Muttusvami Dikshitar. 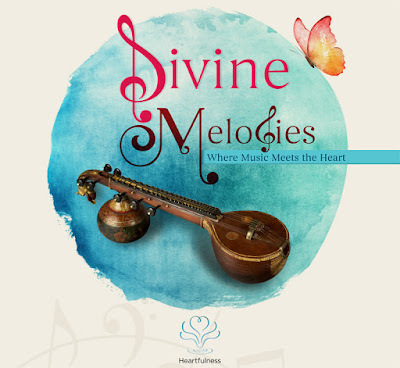 6 p.m. to 8 p.m. - Talk by V. Sriram: Sanskrit influences on Sri Muttusvami Dikshitar's lyrics. Sri Vedantha Desikar Devasthanam & Sri Parthasarathy Swami Sabha organise a music festival this season from Dec. 26 to 31, 2018.